Patios are a nice touch to our outdoor space. 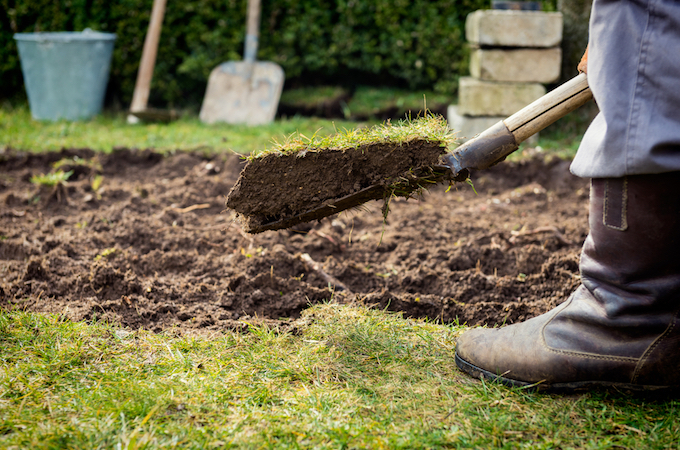 Along with their hard-wearing surface and presentable looks, the paving on your patio is more than prone to cracking, dirt build-up, and other types of damage, due to small ground movements or heavy usage. 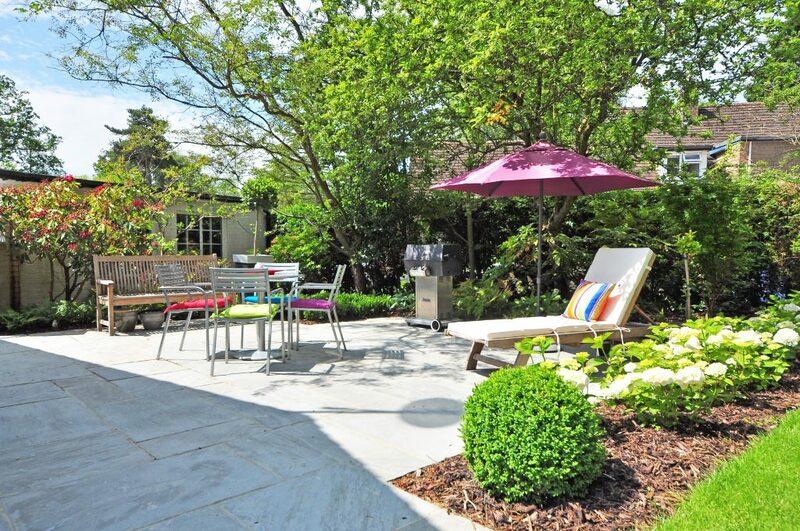 Paving your outdoor space isn’t cheap, and it can cost a small fortune to have any damaged paving repaired, especially when it can be repaired with a little work of your own! Find out how to repair your damaged paving in the easiest and cheapest possible way in this guide. Alternatively, you can book online today with the Handy Squad, or call 0800 0 12 12 12 and we’ll be happy to help. 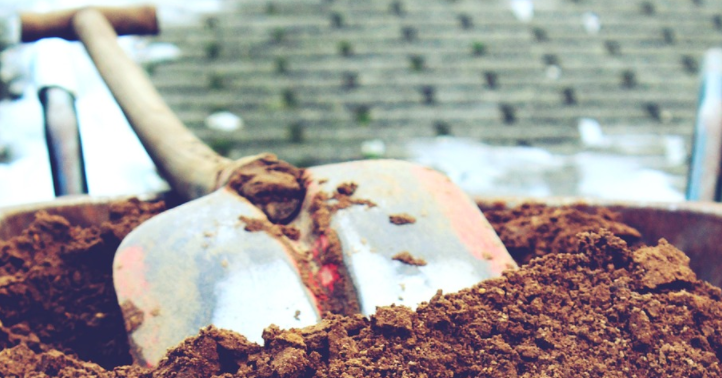 If a paving slab has sunken or has been damaged beyond repair, it’s a pretty simple process to either re-lay or replace it. However, if you’re re-laying or replacing slabs that are 600mm x 600mm or larger, it’s recommended that you have somebody to help you do so. Make sure you have the right equipment and protection to help you re-lay/replace the slab(s). It is highly recommended that you wear safety goggles along with heavy-duty gloves for this task. Using a plugging chisel and a club hammer, chip out the pointing around the slab. Using a spade, lift up the slab. To protect the slab next to the slab you’re lifting, use a timber cut-off. For easier removal, place a broom handle under the slab and use it to roll the slab out of the way. Dispose of the old mortar under the slab you just removed by breaking it up, you can do this using a bolster chisel or a club hammer. If your slab has been laid on sand, use a piece of timber to precisely level it, add more sand if necessary. If your slab was laid on mortar, wet the back of your slab and lay it into position for a fresh set of mortar. Ensure that the slab is in line with the surrounding slabs. Then, using a timber cut-off and a club hammer, press the slab into position and fill the joints with dry mortar. If the joints between your paving start to crack, this can lead to the joints being completely damaged, which will then lead to other problems down the line, such as your slabs becoming loose or weeds growing in between the cracks, which completely ruins the overall look of your paving. It’s essential to regrout your paving joints as soon as you start to notice any threatening cracks. Repairing the loss of jointing is easy to fix, but if you feel that this isn’t the task for you, or you feel that your skills are not up to the “standard,” then why not call the Handy Squad? They’d be more than willing to regrout your paving stones, making it look as good as new again! Remove all of the existing cracked patio joints using a hammer and a bolster chisel, as these are the best-suited tools for this task. Once all of the joints are clear, you can start repointing them. The amount of sand and cement you will use to point will depend solely on the width of your joints. (It’s highly recommended that any pointing done is carried out when your patio itself is dry.) Using a bucket, sprinkle the mix of sand and cement along the joints that need repointing. Then, using a soft brush, carefully sweep the mixture into the joint(s). Ensure that the joint(s) are absolutely full. When the joints are full, brush off any excess of the mix and leave the joints to air-dry. Stains and bad marks ruin the overall look of your patio, especially when they’ve built up over time. Removing stains is an easy task that will get your patio looking as good as new in no time. If a task that involves getting a little wet isn’t your forte, then a trained professional from our Handy Squad would gladly pressure wash your patio paving, leaving it sparkly clean! Completely clear your paving of any furniture, pots, etc. Using a broom, brush away any loose debris, such as leaves or dirt. Before cleaning your paving, it’s recommended that you apply a detergent to the surface to help dissolve any stains and to help make the paving easier to clean. Applying detergents can also protect your paving surfaces from weather damage. Connect your jet washer to the mains electricity supply then turn it on to pressurise the system and to clean your paving. 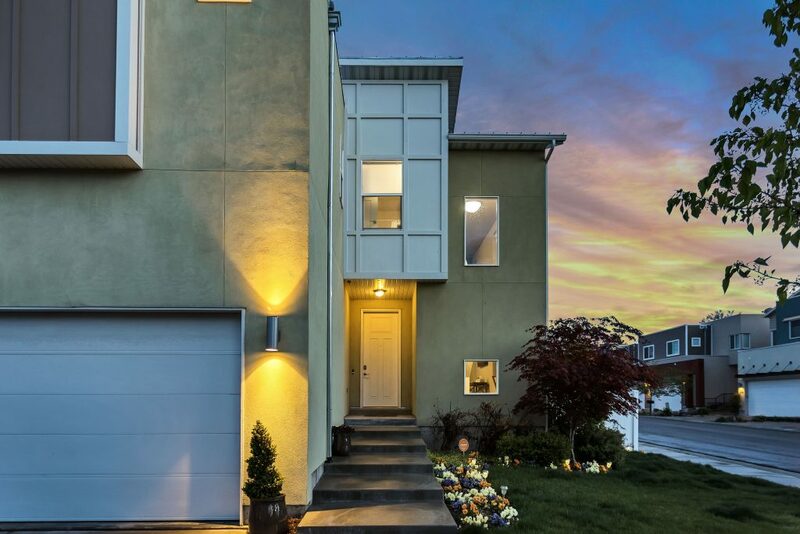 Your home’s exterior is the first thing that your visitors will look at, and as we all know, first impressions are quite important. Have you ever walked into a home which was beautiful on the inside, but its outside didn’t make it look welcoming? That’s exactly what you don’t want to happen when your friends come to visit. 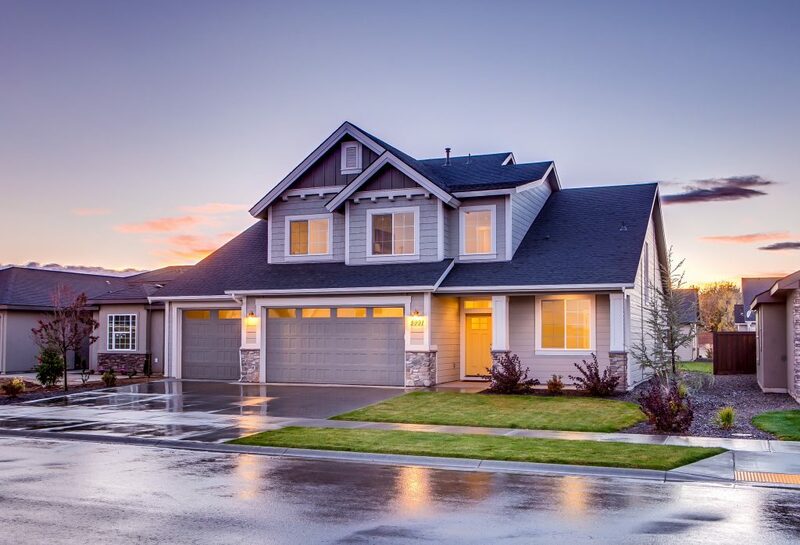 Kerb appeal is the term used to describe the attractiveness of your home’s exterior and we’re certain that you want to make sure your home is always in top shape, both inside and outside. 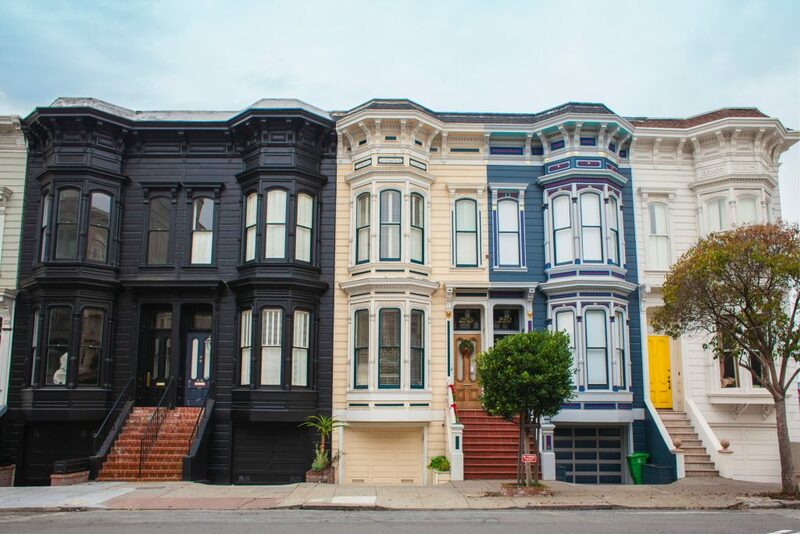 Follow our tips and tricks below to give your home some serious kerb appeal. 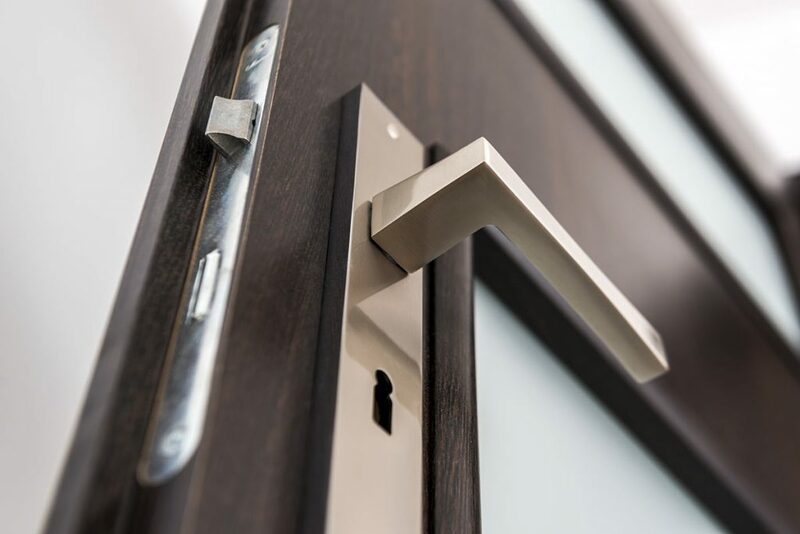 Entrance doors are used every day and are exposed to all weather conditions, so it’s normal when they start showing wear and tear. Maybe the colour is fading, starting to peel off or there are some cracks on the door. Give a bit of extra love to your front door by taking care of these little details every now and then. 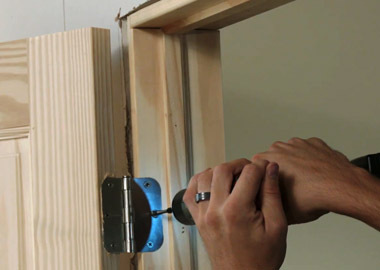 Maybe your door frame has been damaged after a break-in, we would recommend repairing it as soon as possible. 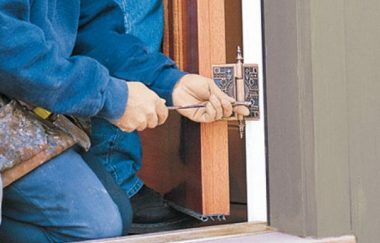 Our team of carpenters in London will be able to repair your door frame and even hang a new door if needed. 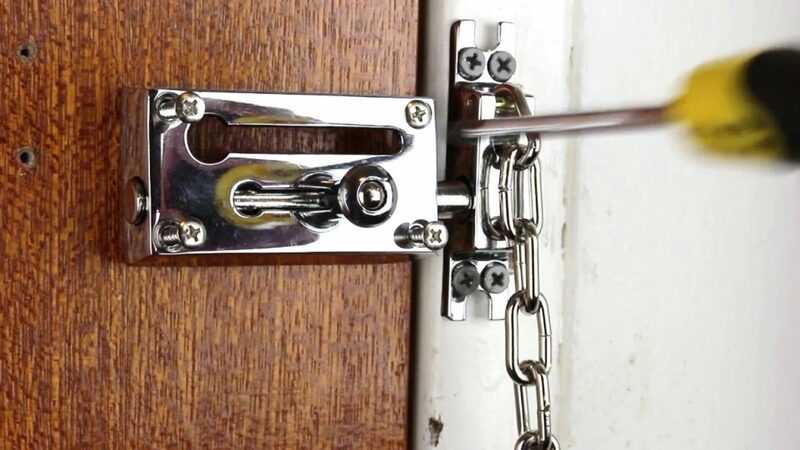 Go one step further and call our London locksmiths, who’ll be able to install a higher security door lock, so you can feel safe at home. An easy way to improve your home’s appearance is to repaint it. You can choose to paint it with the same colour, or you might want to choose something different. Maybe by having an accent colour on your front door? Or by giving a different colour to the door frame or window frames? If you don’t want to fully paint your home’s exterior, why not just gloss the wooden details and give a new shine? In case you don’t have time to paint the exterior of your home or you simply don’t want to get your hands dirty, enquire with our decorators in London, who are always happy to help. They will be able to gloss your front door, paint your entrance door or paint your whole home exterior. The entrance door should be your main focus; however, windows are also very important. If you live in an older property, taking care of your windows is not only vital for the appearance of your home, but also for the overall insulation of your home. Nobody wants to be cold during the winter months due to draughts that are coming through the cracks in old windows. Windows can be repaired, but if yours are beyond repair, our highly-experienced team can replace sash windows in a heartbeat. The journey to your home should also be looked after. 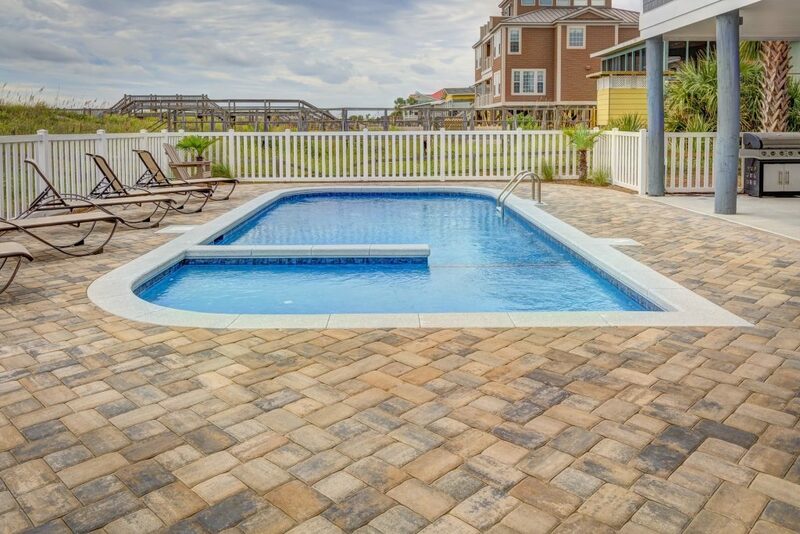 With time, pavement stones start developing cracks and start accumulating grime and dirt. If you need a professional to clean and refresh any paving or driveway areas, our team will be able to give you an extra pair of hands and pressure wash your paving. However, if you notice cracks between paving and broken grout, maybe it’s time to replace the paving stones or regrout the paving. 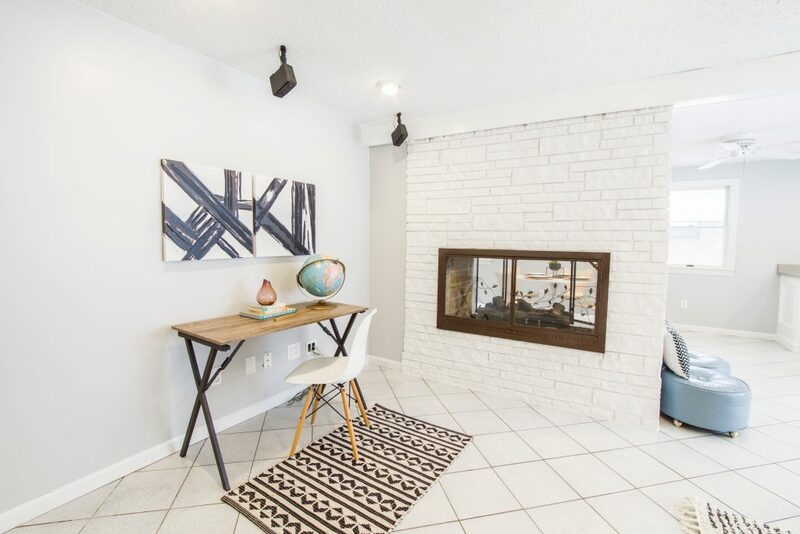 Add light fixtures to your entrance. 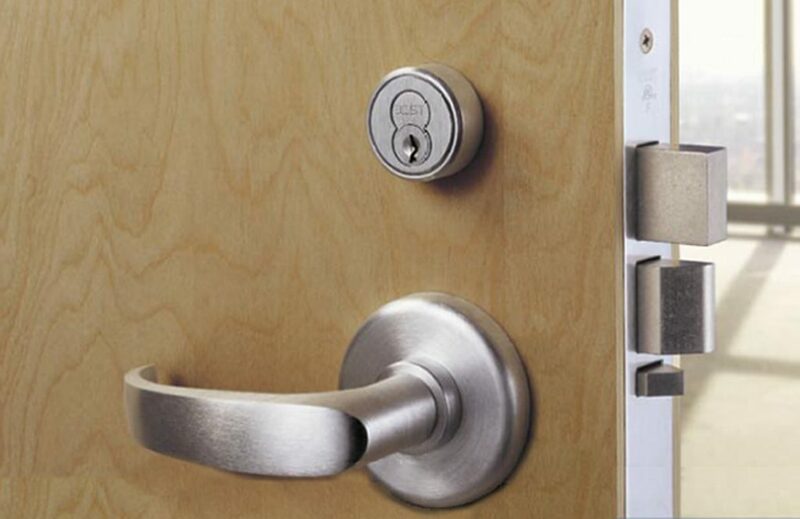 This will help you find your keys late at night and will add a stylish and decorative touch. Front light can also make your home look more welcoming and cosier. 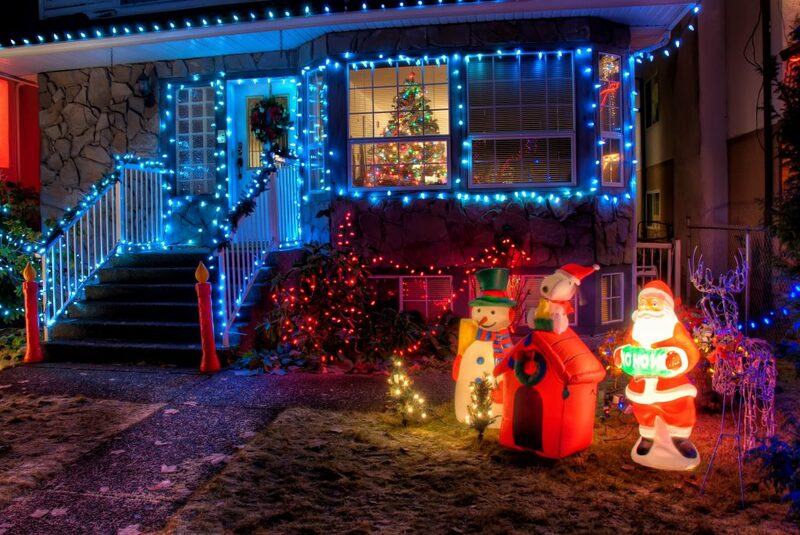 If you have a front garden, why not add some lights to different areas of the garden? If you need a professional for the job, our highly skilled London electricians will be able to replace old lights and install new lighting fixtures. 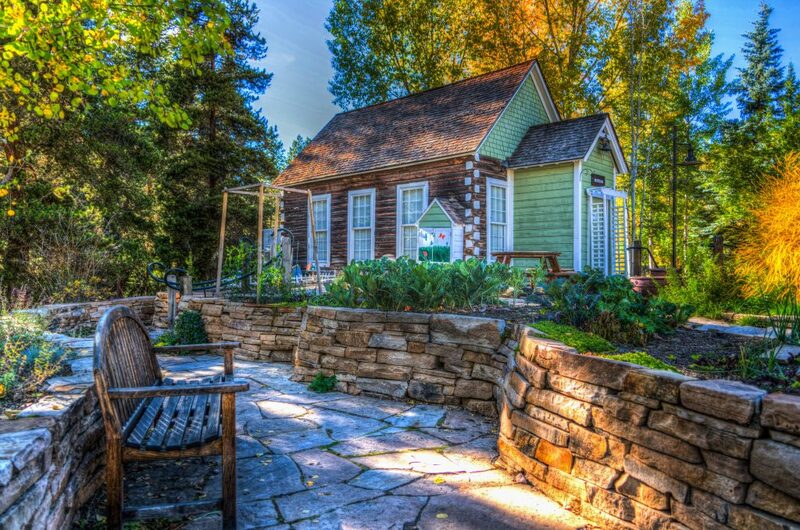 Outdoor plants and flowers can really give a finishing touch to any home. Potted plants on either side of the entrance door always look stunning. If you need any help moving around heavy pots, give our team a call. 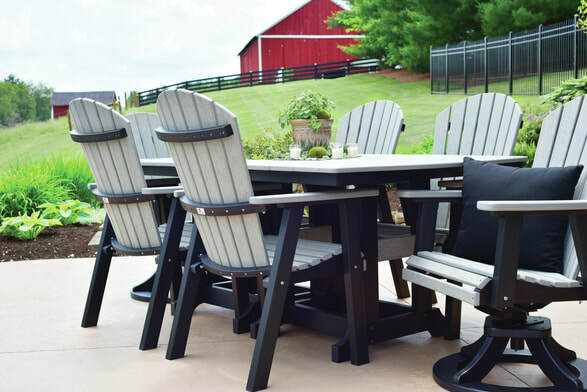 If the idea of enhancing your home’s exterior seems like an idea you’d like to pursue, but you simply don’t have enough time on your hands – leave it to the Squad. We are able to take on any big or small jobs you require. Give our team a call today on 0800-0 12 12 12 or request a free quote by filling our online form. It would be anybody’s worst nightmare to have a fault with their heating system during the bitterly cold winter months, even worse, not knowing how to fix the fault themselves. Ensuring that your heating is fully functioning to keep your home warm is essential – not just for your own comfort, but to save money as well. Knowing how to resolve any minor problems, DIY style is handy, but if you’re looking to save time and want to avoid fiddling around with your radiators, our London handymen at the Handy Squad are able and willing to fix any and all problems that you’re facing, we’re just one phone call away. Remember, different models and makes of boilers have different controls, so be sure to store your operating instructions in a safe place for future usage, if needed. The majority of faults have straightforward solutions, which you should be able to do yourself – but be sure to call a professional if you are ever in doubt. We would recommend calling a gas safe engineer to deal with any boiler-related tasks (we don’t supply these engineers; however, our plumbers will be happy to help with any other tasks you might require). Possible cause: Hot pipes expanding and rubbing against the floor, wall or other pipes. This causes friction, which can be an unpleasantly annoying sound. Solution: Get your pipe notches in joists widened (don’t deepen them, this will weaken the joists), clip any unsupported pipes or install insulation around and between pipes. Possible cause: The pump speed could possibly be too high, or your pipes are too narrow for the system flow. Solution: We’d recommend calling a professional for this job. Possible cause: Air or gas bubbles in the system. Solution: Bleed the radiators. See our article on how to bleed your radiator. Possible cause no.1: Faulty boiler thermostat. Solution no.1: We’d recommend calling a professional to replace your boiler thermostat. Possible cause no.2: Limescale build-up. Solution no.2: The limescale can be cleaned out by a professional. Possible cause no.3: Noises could also indicate that the pump isn’t working when using a solid-fuel system (where fuel such as wood is used to heat the system). Solution no.3: Shut down the boiler first (you can find how to do this by using your boiler operating instructions), then check that the pump is turned on and the impeller running by feeling the casing for vibration. If the switch is turned on, but the pump isn’t running, turn off the power at the mains and check that none of the wiring connections have become loose. If the pump is running, but the outlet pipe is cool, open the bleed valve to release trapped air. Possible cause no.4: The water level in the system is too low. Solution no.4: Follow the easy step-by-step guide below to help resolve this issue. Step 1: Turn off the boiler and pump. Then, examine the feed-and-expansion cistern in the loft; if it’s empty, check that the ball valve isn’t jammed closed, also that the water supply hasn’t been turned off or check that a supply pipe isn’t frozen. Step 2: If you’re able to identify and fix the cause yourself; that’s great. You can then top up the system water level again but do be sure to follow the boiler operating instructions. If your boiler is still running problem-free, but you are somehow experiencing issues with cold radiators there could be numerous reasons why. When all radiators are cold, the most common cause is when the pump isn’t working. To fix this, see this issue, we’d recommend calling a professional. Another cause of all cold radiators is that the pump’s thermostat or timer is incorrectly set or faulty. Fortunately, this can be fixed DIY style! Firstly, check the thermostat and reset it if necessary. 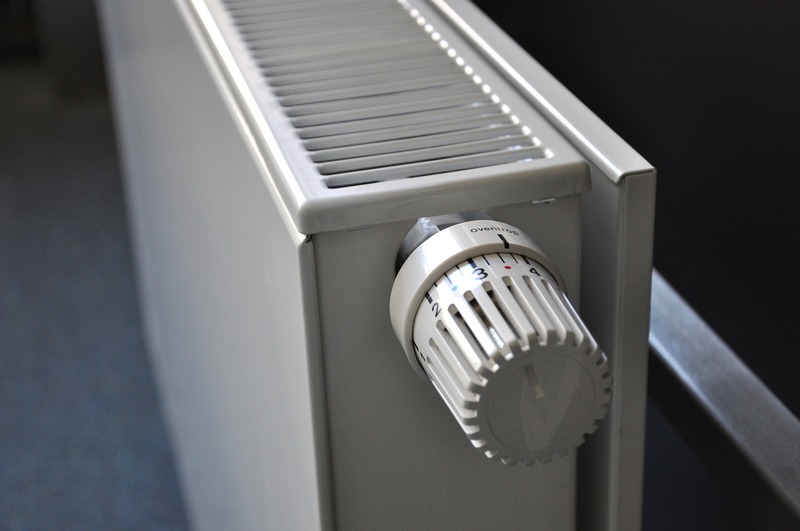 If the thermostat or timer is incorrectly set, switch off the power and check the wiring connections, ensuring that you are following the radiator’s operating instructions. Sometimes not all of your radiators will be cold, only some. The first possible cause of some radiators being cold is when your zone valve’s thermostat or timer is incorrectly set or faulty. A quick and easy solution for this is to reset it. Again, if set incorrectly, switch off the power and check the wiring connections, using the operating instructions. Another possible cause might be that the system may be unbalanced and needs balancing. Balancing means that all of the radiator valves are adjusted to make sure that all of the radiators heat up simultaneously. The last possible cause is the zone valve itself may be faulty. The solution is simple; replace the zone valve with a new one. When there’s a single radiator that’s cold, the main possible cause is that the radiator’s manual control valve is turned off. To fix this problem, open/turn on the valve. 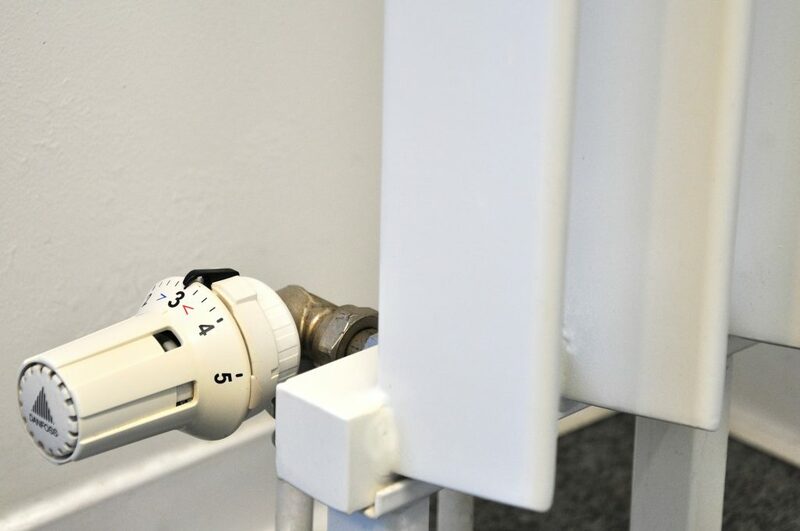 However, the thermostatic radiator valve (TRV) could be incorrectly set and this could be causing the problem instead. If this is the case, reset the TRV. Speaking of the TRV, it being faulty could possibly be another cause of a single cold radiator. Again, the fix for this is straightforward and DIY friendly, replace the TRV with a new one. If you’ve found that neither of those problems are what’s causing your single radiator to be cold, then you may have an incorrectly set lockshield valve. To fix this, open the manual valve fully, then remove the plastic cap from the lockshield valve and use an adjustable wrench to open the valve until the radiator warms up. The next time a handyman pays a visit to service the system, ask them to balance the radiator, they’ll ensure your radiator is successfully balanced. Having corrosion deposits blocking the inlet and outlet is the final possible cause of your single cold radiator. To resolve this, remove the radiator and flush it out or replace it if it needs to be. Be sure to add a corrosion inhibitor to the system. If you’re experiencing a slightly different issue, such as a radiator with a cold top, it could possibly be that there is air trapped inside of the radiator. What’s the solution, you may ask? Open the bleed valve so that it can escape. See our article on how to bleed your radiator. Your radiator may have a cold center or bottom, here’s how to fix it! Firstly, the possible cause of this is a build-up of sludge. To fix this, remove the radiator and flush it out, or replace it if it needs to be replaced. Also, be sure to add a corrosion inhibitor to the system. We hope that this detailed guide was helpful and that you’ll be able to keep warm during the cold months. Our reliable handymen can be contacted if you face any difficulties when trying to resolve issues by yourself or if something can’t easily be fixed, you can always count on us. Call our friendly team on 0800-0-12-12-12 or request a free quote by filling our online booking form. The holidays are quickly approaching, presents need to be wrapped and decorations need to be put up. You may be surprised to know that we provide services to help with all your Christmas requests. As lovers of odd jobs, we have handymen in London who can help to hang up Christmas decorations, put up the Christmas tree or move Christmas furniture. Christmas party coming up? Not enough hands? Our partners provide event setting up services including installing marquees, setting up lighting, handling audio visuals and much more. With our moving and transport team, we can also assist you with transporting party equipment. 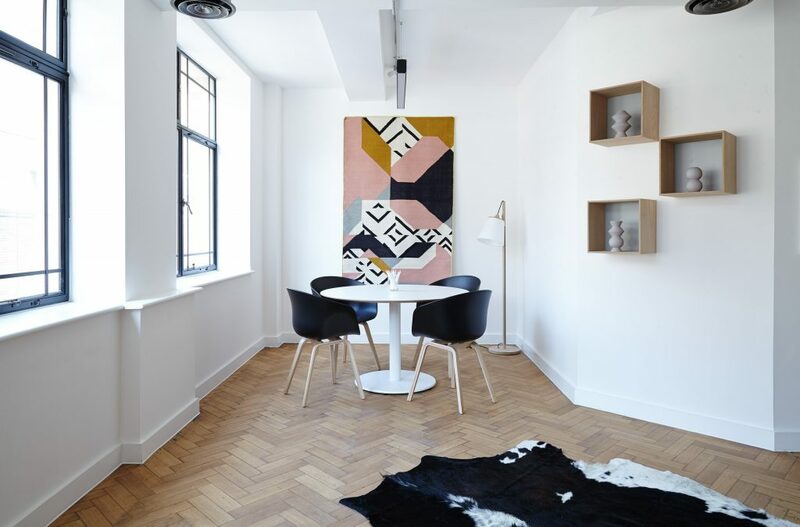 Our decorators in London specialise in various painting services for your home or office, if it’s just a pop of colour you need, a retouch or a whole room we can help you out. No matter how big or small we’ve got the hands to help. Don’t hesitate to call. The Handy Squad has the London handymen to assist with any odd request you have regarding your Christmas planning. Need lights put up around the house? No problem, the team is always happy to help. As the nights get dark and cold, sometimes all you need is an extra pair of hands to help you tackle those winter worries and thankfully the Handy Squad can assist you with that. We also offer many other services that can help you through the winter such as draught proofing to save you from the cold and save energy. Even if you need to baby proof Christmas decorations we have the handyman for you. Leave your Christmas crisis with the Handy Squad. 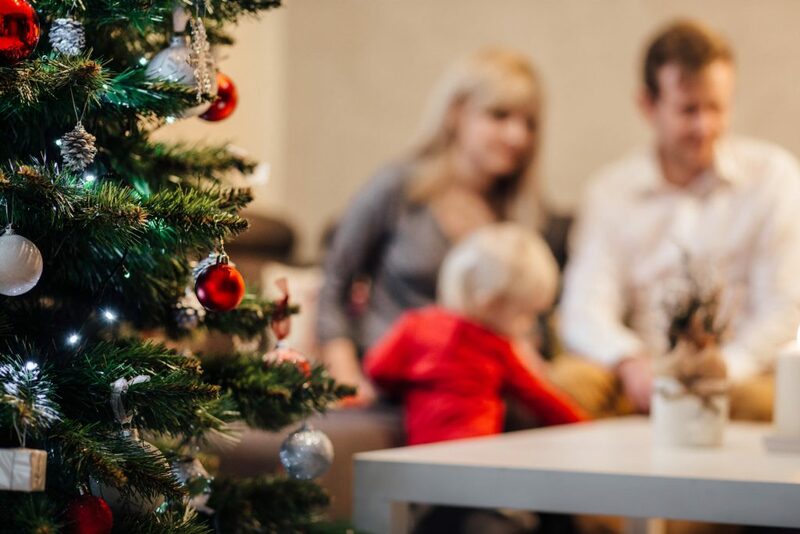 Just call with any Christmas request you have, and a handyman will be sent to you as soon as possible to make sure the holidays are filled with fun and festivities. If you need a free quote just give the team a call on 0800-0-12-12-12 or book online. It’s almost that time of the year. The days start to get shorter, the scarves get out of the closet and the best thing to do after a long day of work is sitting next to the fire with a nice cuppa. Although the British weather is already famous for being cold and rainy, the British winter is the holy grail of cold and rainy days. That’s why you should winter-proof your home, thus making sure you’ll keep warm and stay away from unwanted colds. Clearing any leaves and garden debris from your gutters and drains is of the upmost importance. By cleaning your home’s gutters, it will prevent damp from getting into the walls and by cleaning the drains you’ll be preventing blockages, which will prevent future water overflow. Start by making sure your downpipes aren’t cracked and that the water is running properly. To prevent burst pipes, frozen pipes and avoid blockages, wrapping your pipes in lagging would be the way to go. Lagging can be easily bought online or in some DIY stores for just a few pounds. Proper home insulation can reduce heat loss, reduce utility bills and save energy. 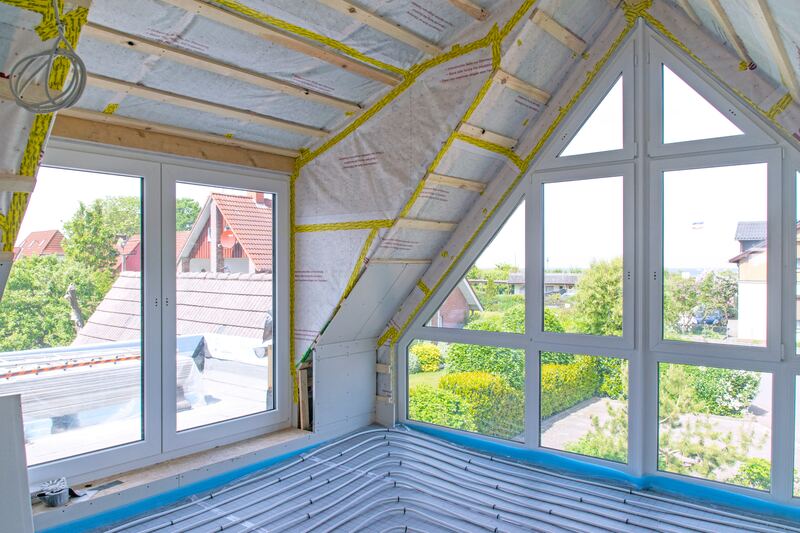 Some of the heat in a house is lost through the walls and loft, for this reason insulating your loft and wall cavities is more important than ever. Loft insulation will not only help your home stay war during the winter, but it will also help your home stay cooler during the summer. If you are feeling chilly breezes in your house, it is most likely draughts coming from cracks or gaps around doors, windows or even letterboxes – these gaps are easily sealed with insulating strips. Additionally, if you have standard windows, we would recommend to double or triple glazing them to reduce heat loss. The worse thing that could happen on a chilly morning while you are trying to get ready for work is turning on the shower and water is completely freezing – we all know how that feels! In order for this not to happen again, make sure you get a professional to undertake an annual servicing of your boiler. This way, you’ll be assured that you’ll be able to take warm showers in the colder of wintery days. In case your radiators are cold at the top and warm at the bottom they will require bleeding. It might seem daunting, but it is easily done. By doing this you’ll release excess air and ensure your radiators will keep your home warm throughout the winter. Be sure to keep your heating low during the day manually or with a timer to prevent frozen pipes. In case it’s a very cold day remember to switch the heating on earlier than turning on the thermostat up really quickly. Our experienced electricians in London will be able to conduct an energy audit in your home or office to find any faults with your electrical circuit or with any of your electrical appliances to make sure you’ll keep warm and cosy during the winter.